Thanks to an ambitious Health and Human Services timeline that hopes to see 90 percent of traditional Medicare payments transformed into value-based reimbursement, healthcare payers, particularly Medicare Advantage plans, are relying more heavily upon population health and data analytics to track, forecast and improve patient outcomes. However, an analytics-only approach to population health management (PHM) falls short when it comes to addressing the specific challenges associated with advanced illness. The principal deficits relate to effectively engaging with individuals and caregivers who are dealing with these difficult issues through appropriate community-based resources. What payers are discovering is that many of their existing population health solutions lack the appropriate care management infrastructure, staffing and resources to intervene when something is predicted to happen. 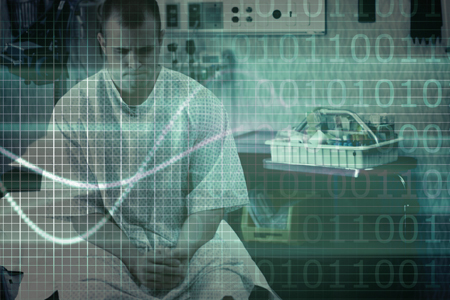 As a result, the potential for utilizing patient data fails to be fully realized. For the most fragile and vulnerable health plan members, as well as their family caregivers, payers need to apply a focused lens on the explicit challenges associated with serious illness. This is precisely where a new, specialized PHM model that provides community-based palliative care is needed. Thanks to innovative companies, this type of program is now available. Palliative care is specialized care for members with serious illness that provides relief from symptoms and stress, and offers medication management, care coordination and other support that may have gone missing from traditional models. The goal is to improve quality of life for both the patient and the family. A new innovative model, appropriately called Palliative Illness Management™ (PIM™), serves payers by deploying community-based palliative care as a scalable PHM solution to address members and caregivers facing advanced Illness. PIM™ provides a process-driven approach to PHM, with an end-to-end solution that includes sophisticated predictive analytics for patient identification and a uniform approach to delivering community-based palliative care. PIM™ is a clinically driven program, supported by a standardized platform that ensures quality and improves outcomes. To engage patients and their family caregivers, this model convenes community-based palliative care teams, recognized under the PIM™ model as Palliative Extensivists™ (PEs) -- primarily nurses and clinical social workers practicing at the top of their licenses. PE-led teams document care in the PIM™ platform, follow PIM™ risk-based care pathways, and adhere to PIM™ care management protocols. The PEs rely upon the PIM™ comprehensive in-home and telephonic assessments to perform and document initial and follow-up patient assessments. As clinicians, they review symptoms, perform medication reconciliation, and discuss and document goals of care. PEs are highly valued for their ability to guide advance care planning, provide psychosocial support and identify caregiver needs. These clinicians then create a palliative plan of care based upon patient goals, while enhancing home supports, providing patient education and assisting with patient decision-making. This extraordinary level of personalized attention aligns physicians and other care teams to organize patient care activities and create seamless transitions in care that directly achieve safer, more effective care. PEs aim to keep members healthier outside the hospital, providing regular, routine home visits and phone outreach that will help to avoid emergency room visits, hospitalizations or readmissions, and ICU stays. Supported by a standardized platform that ensures quality and improves outcomes. Provides a clinically driven program, with the proper infrastructure, staffing and resources to intervene when something is predicted to happen to members facing advanced illness. Highly structured and consistent clinical programming in combination with quality monitoring and oversight. Community-based teams of Palliative Extensivists: extends the reach and frequency of "touching members"
If there are symptom needs or other clinical care requiring a prescription, or if there is a change in code status or patients wish to discuss goals of care with their physician, the PIM™ team will make a direct call to the patient's physician. Non-clinical needs such as ordering Meals on Wheels, DME, or other social support services are performed by the PIM™ team or referred to the health plan's case manager, as appropriate. The frequency and type of follow-up care is determined by the assessed risk level of the patient as defined in the PIM™ care pathways. Patients deemed higher risk receive more frequent calls/visits until their risk level is reduced. The team continues to follow the patient through the course of illness, unless the patient is stabilized and no longer requires PIM™ services; or the individual is admitted to another setting, such as hospice or a nursing home; or the patient moves out of the service area. Given the complexity of healthcare decision-making for the nation's most fragile and vulnerable patients who are facing serious illnesses, the introduction of innovative models like PIM™ represents an opportunity for payers to better address individual needs and expectations. It is a positive sign that our system is shifting away from an episodic approach to care toward a patient-centered PHM approach.